One of the greatest yet most easily overlooked benefits of modern technology and modern science is the ability it gives us to both literally and metaphorically “see” things that were not visible or understood before. Unfortunately, when it comes to smart homes, home networks, and data connectivity in general, we’re still essentially blind to what’s actually going on. Sure, with a bit of effort, you can find out how much of your monthly data plan you’ve used in a given month, but figuring out what kind of data packets are traversing your home network and where they’re coming from? Fuhgetaboudit. Truth be told, our collective naiveté on the subject was acceptable in simpler, digitally safer times. After all, network packet analysis hasn’t likely been very high on most consumers’ to-do lists and thankfully, there wasn’t that much to worry about. Now, however, things are different — much different. The horror stories about the kinds of gaping security holes that many IoT and smart home products are opening people up to are just getting started. Unfortunately, they’re bound to get worse before they get better—and that may be a while. I understand the righteous indignation generated by government-driven surveillance programs, but why isn’t there even greater outrage at efforts being made to parlay our devices into digital zombies hell bent on taking down web sites through DDOS (distributed denial of service) attacks, or tapping into home security cameras to watch sleeping babies? Physical security is incredibly important, but it’s high time to start placing serious (and perhaps equal) emphasis on digital and cyber security. Elon Musk and Stephen Hawking may be concerned about the future of autonomous robots and their impact on humanity, but I’d really like to know what kind of potentially nefarious data from places unknown is zipping around my home network as I write. I have to admit I find it particularly ironic that many of the strongest proponents of smart home products focus on the security benefits that connected video cameras and other related devices offer. In fact, nearly 75% of smart home products sold are related to security according to market research firm NPD, but they’re 100% focused on physical security. Now, don’t get me wrong. Physical security is incredibly important, but it’s high time to start placing serious (and perhaps equal) emphasis on digital and cyber security. Wouldn’t you want to be notified if you started receiving or spitting out a flood of unrequested traffic from or to another country on your home network in the same way that you receive a notification if your connected video camera sees your dog moving? Even better, wouldn’t you want tools that can start automatically blocking that traffic for you and notify you they’re doing so? Even beyond obvious examples like that, why can’t I get more insight into what’s actually going on inside my network—where data is coming from and going, to which device, etc? While we’re at it, how is it that, in 2016, I still can’t tell (without a lot of effort) exactly which outlet and which device(s) in my home are the ones sapping up the most “vampire” power? Part of the challenge, of course, is figuring out how to deliver this kind of information in a way normal human beings can understand. Making sense of network traffic isn’t something people want to have to think about but we can no longer afford to ignore it. Clever software designers and smart engineers should be able to tackle this challenge and create a way to make the invisible realities of our increasingly digital world more tangible, relatable, intelligible, and concrete. I see this as one of several current challenges. Apply analytics to our personal big data—the data, environment, and events that happen all around us. From health care to finance to transportation to communications, there’s a staggering amount of opportunities to try and organize and make sense of this contextual information in a way that’s actually meaningful to our lives. The first step along this path, arguably, should be in the home, our place of safety and refuge. 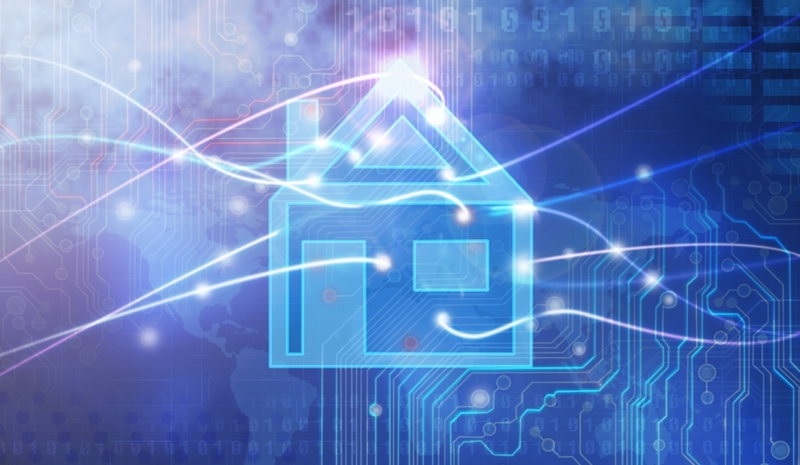 But, while the concept of a connected home may be interesting, until it can keep the occupants safe from both physical and cyber threats, I don’t see how we can justify calling it smart.